Unsure what to get for the holidays…. 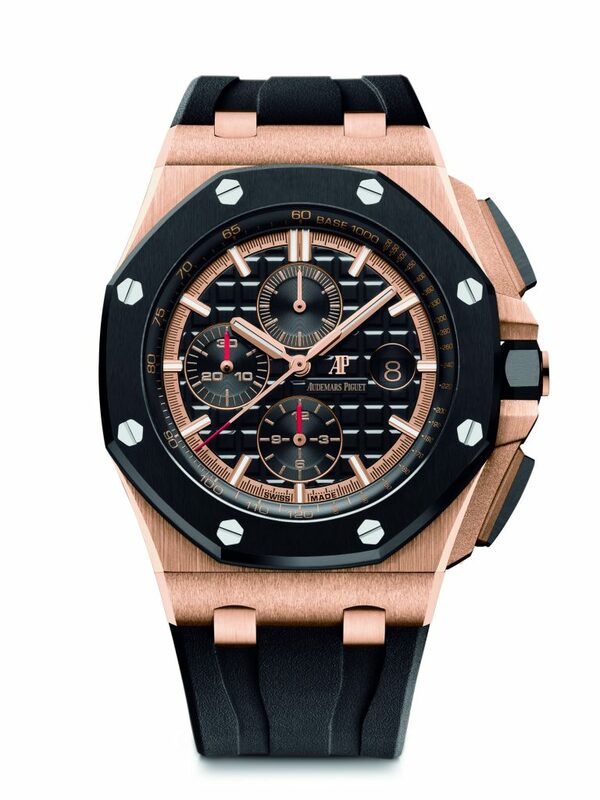 Audemars Piguet’s Royal Oak and Royal Oak Offshore collections are sure-fire bets for gifts or for self-purchases. Here we bring you three great Audemars Piguet Royal Oak options just in time for the holidays. Audemars Piguet Royal Oak Offshore Chronograph with jet black ceramic bezel. Long known for its ability to create luxury sport watches, Audemars Piguet brings ceramic and 18-karat gold together magnificently in this Royal Oak Offshore Chronograph (Ref. 26401RO.OO.A00 2CA.02). The 44mm timepiece offers chronograph functions,as well as date at 3:00, and hours, minutes and small seconds. It features a rich black Mega Tapisserie dial with gold-colored track flange and bright red accents to underscore its role as a sports watch. With a black ceramic bezel in shiny finish, the watch is water resistant to 100 meters and is powered by a self-winding movement with 365 components and offering 50 hours of power reserve. It retails for $45,900. Royal Oak Chronograph in rose gold with stunning blue dial. Maybe you are looking for a something a little more subdued and classic in look, while still being sporty? Take a look at this 18-karat rose gold Royal Oak Chronograph with stunning blue Grande Tapisserie dial and matching-colored hand-stitched alligator strap. With rose-gold sundials for the chronograph, hands and markers, the watch is a vision of blue and rose. 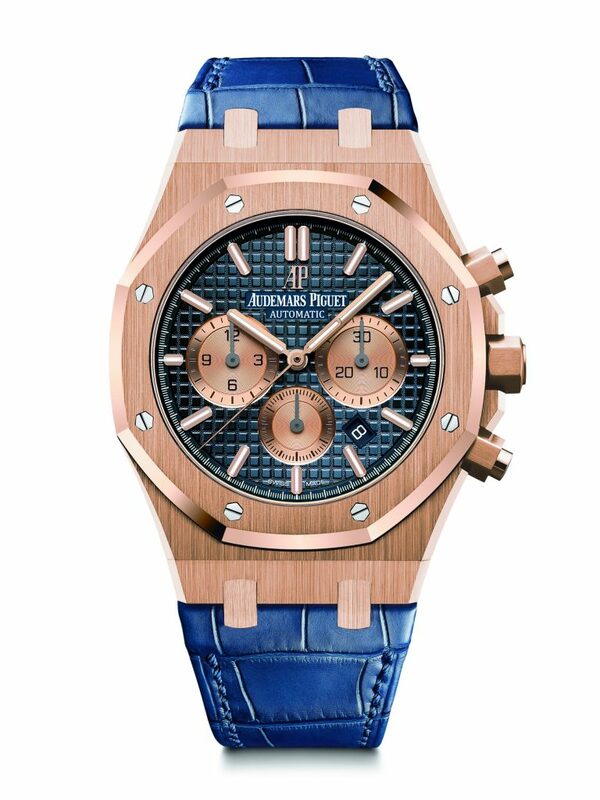 he large chronograph pink gold subdials, this Royal Oak Chronograph is a vision in blue and pink. The 41mm watch is powered by the self-winding column-wheel chronograph movement that also offers small seconds. It is slightly more affordable than the Offshore compatriot at $38,300.